In central London’s congestion zone area, those driving older, more pollution-prone vehicles will be charged £12.50 for entering the area each day – alongside the congestion charge. On the other hand there are those drivers who are furious at having purchased diesel cars that, at one point recommended by the government, now find themselves subject to the ULEZ charges. 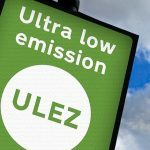 If you are one of those who find themselves with a vehicle which doesn’t cater to the regulations of the ULEZ, why don’t you check what’s available at our fleet? Our pco rentals will be sure to comply with the changes to London, meaning you won’t have to worry about additional fees hitting your hard-earned money. Check at our fleet or give us a call to learn more.